We first saw this bird in Makiling. Tina identified it for us, but we were not able to take a picture the first time. On our third sighting we had a few pictures. On our fourth encounter, still in Makiling we saw four of them and were able to get captures of this very skittish bird. 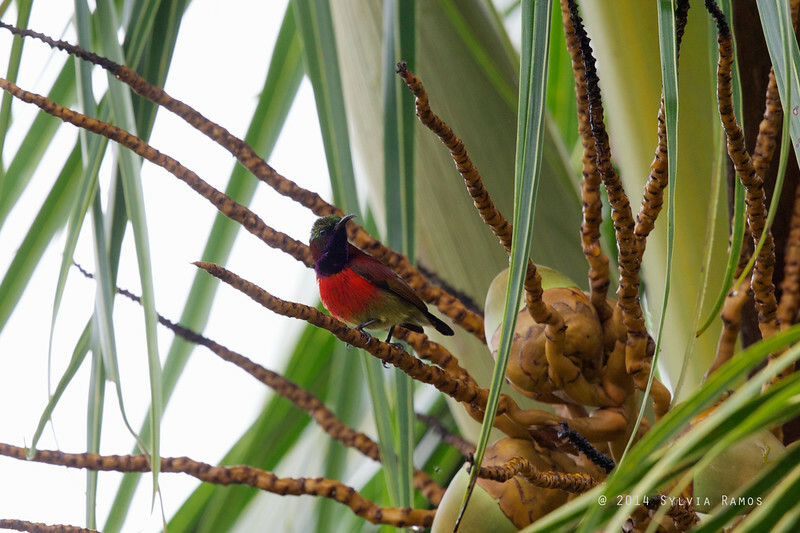 Its interesting that they were in a mixed flock of sunbirds, Olive-backed, Plain-throated and these guys.